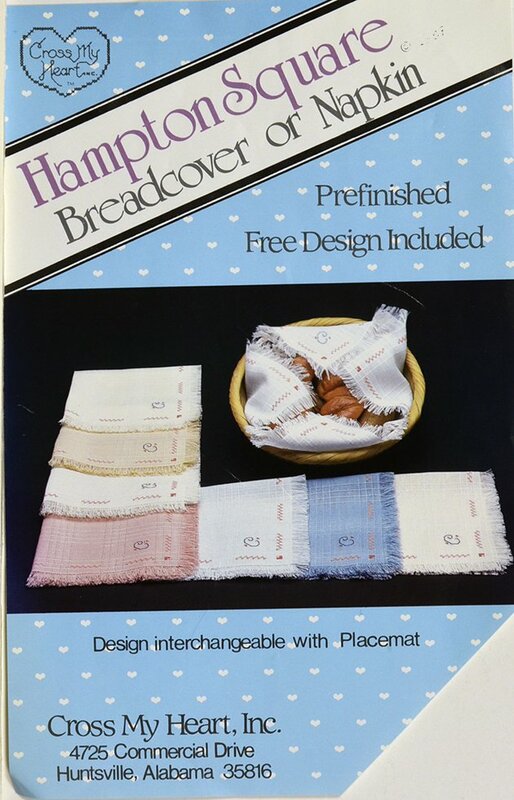 Prefinished Hampton Square breadcover by Cross My Heart. Dunroven House Table Top ready for transfer pattern. 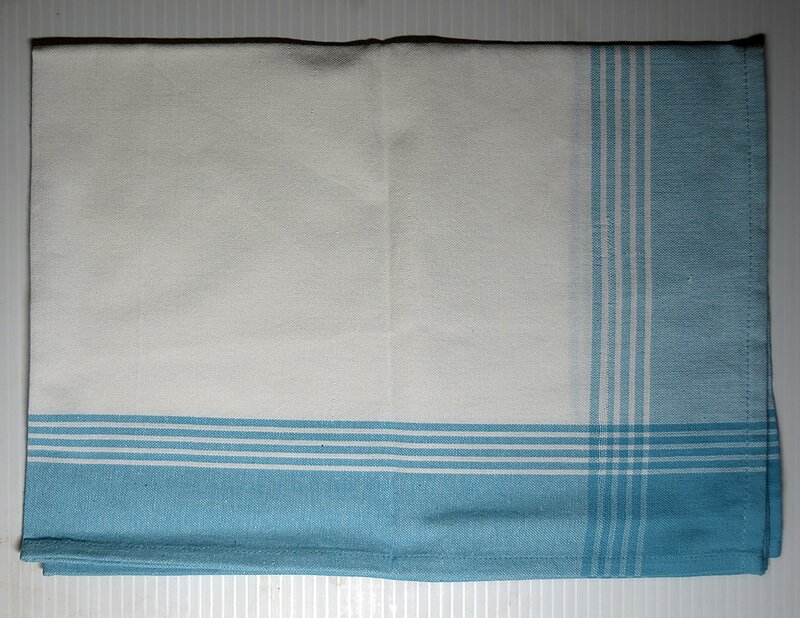 White with turquoise border. 20-Count Prefinished Jasmin Pillow. 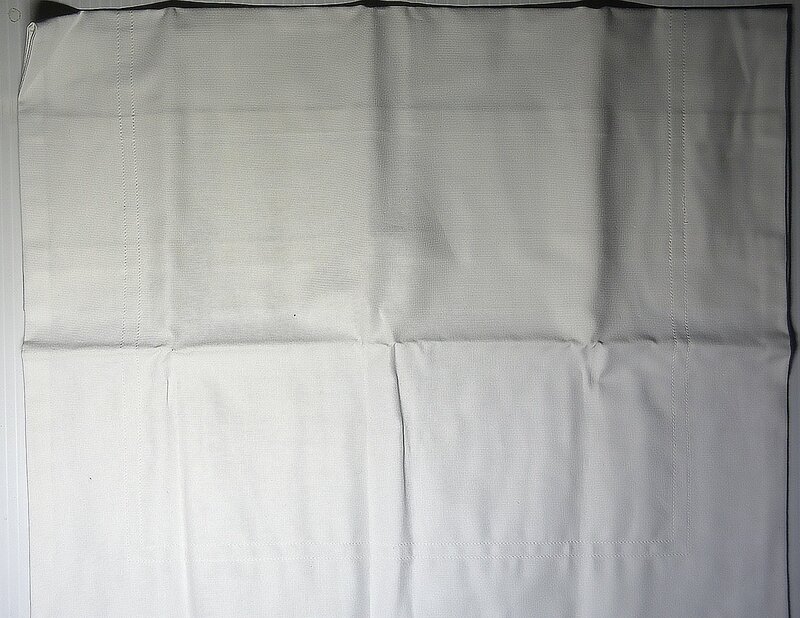 16" x 16" white. 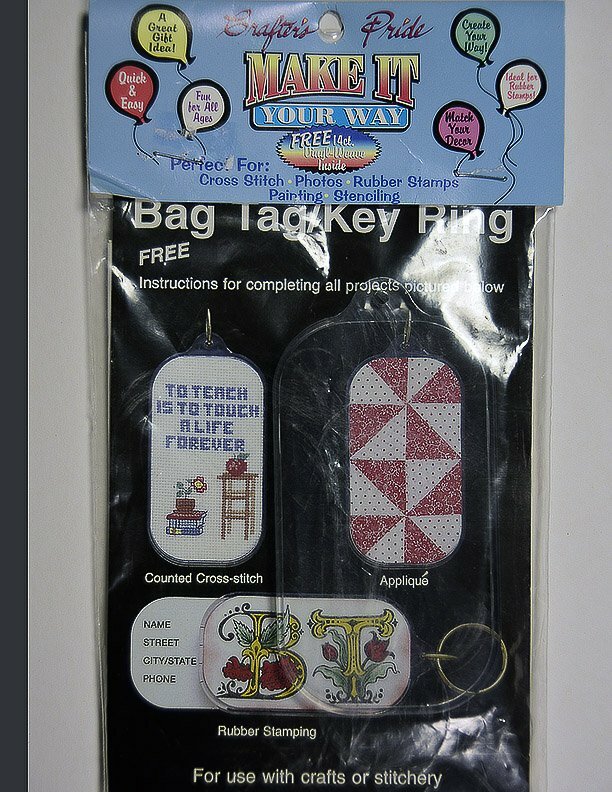 Make a beautiful bag tag or key ring with this kit. 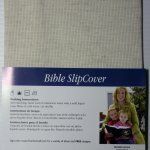 14-Count Bible SlipCover. 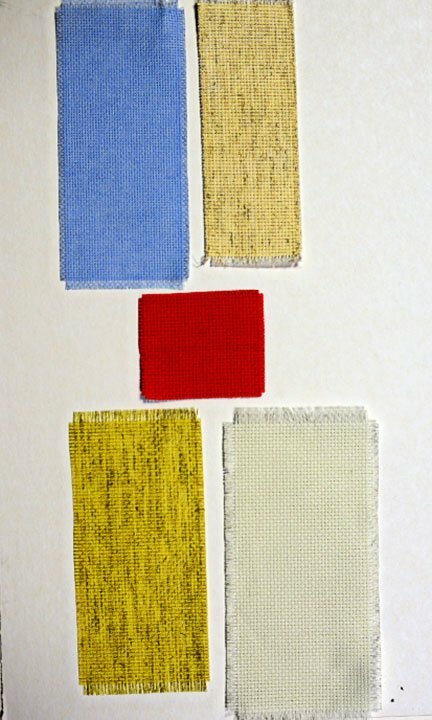 100% cotton Fiddlers Cloth by Charles Craft. 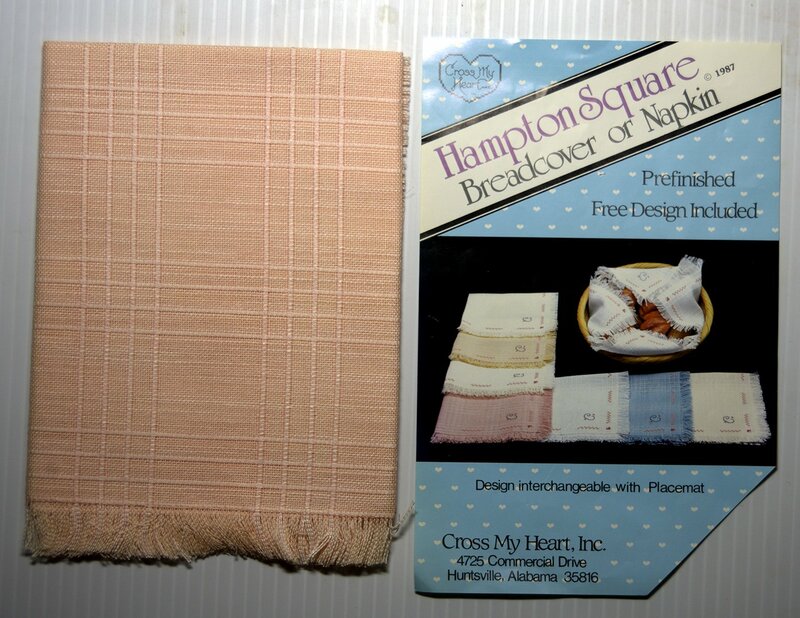 Hampton Square Breadcover or Napkin presented by Cross My Heart. Ready to wear Designer Collar for needlework. 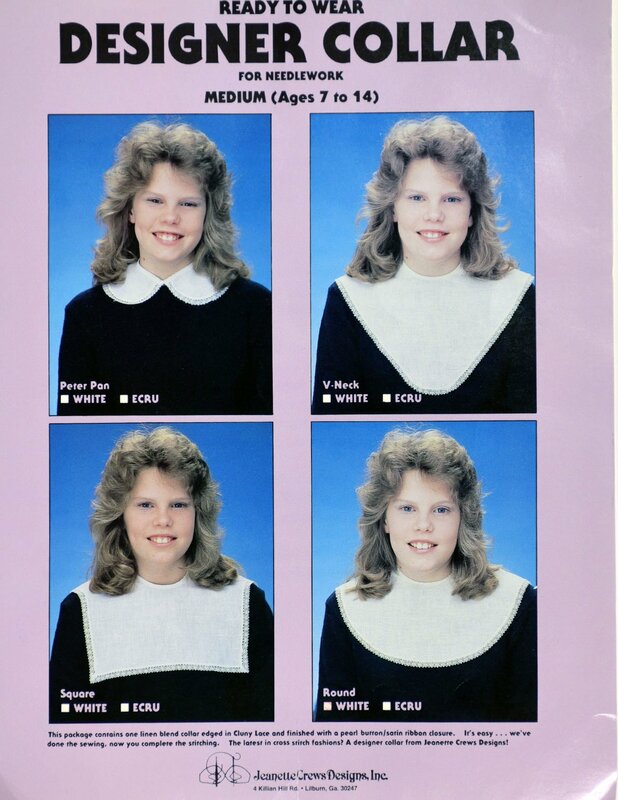 Medium (ages 7 to 14). Peter Pan, Ecru. 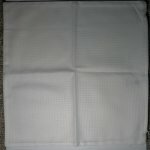 13" x 13" beautiful square doily for counted cross-stitch. 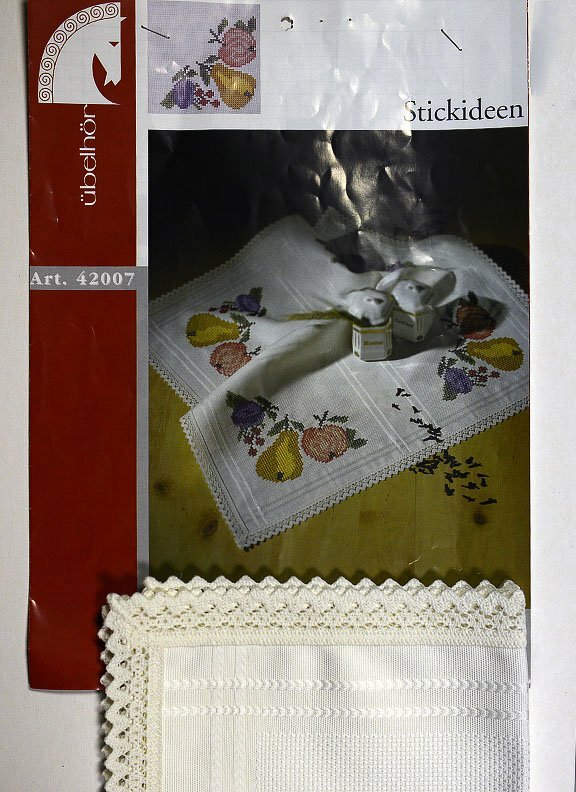 25 fringed bookmarks ready to stitch your counted cross stitch pattern. 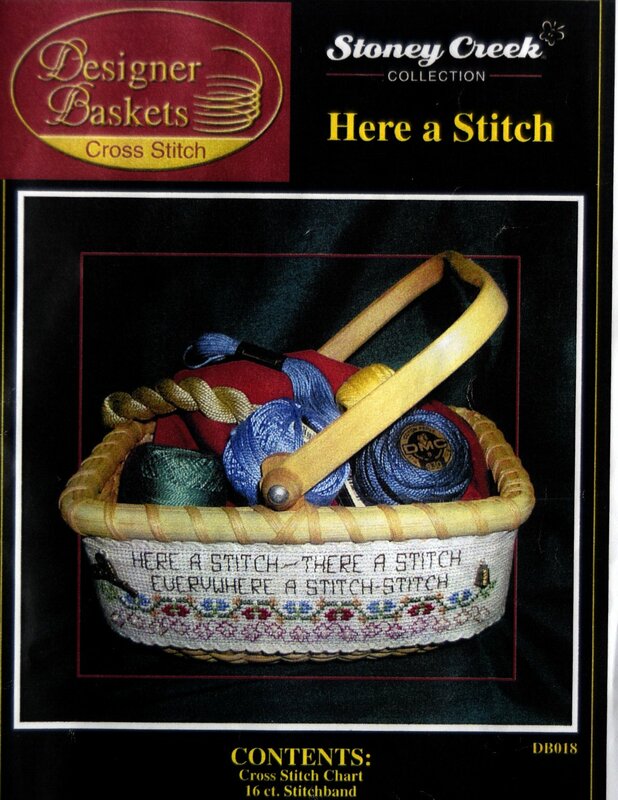 "Here s Stitch" is presented by Stoney Creek Collection. 9" x 10" yellow fiddlers cloth small tote bag. 14-Count. 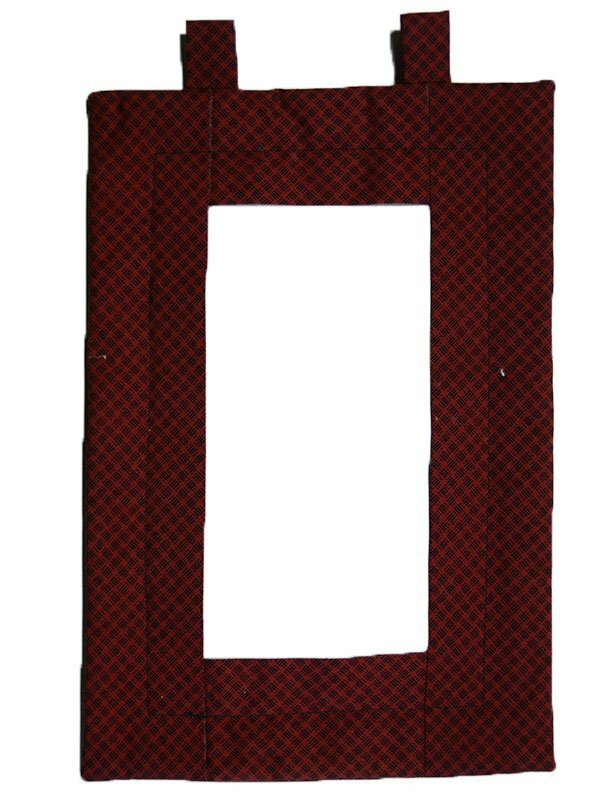 8" x 7" bag made of 14-count Christmas red damask fabric ready to stitch. Free "Joy" pattern included with bag. 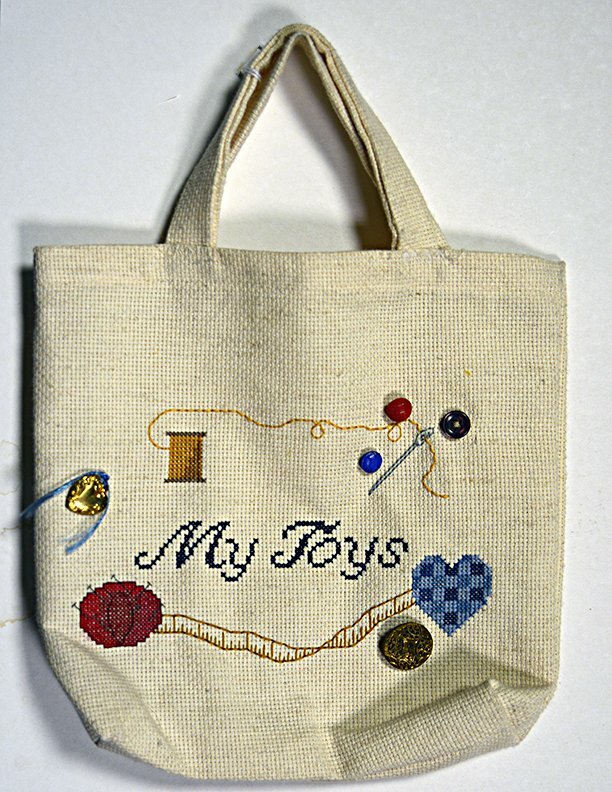 "My Toys" pattern. 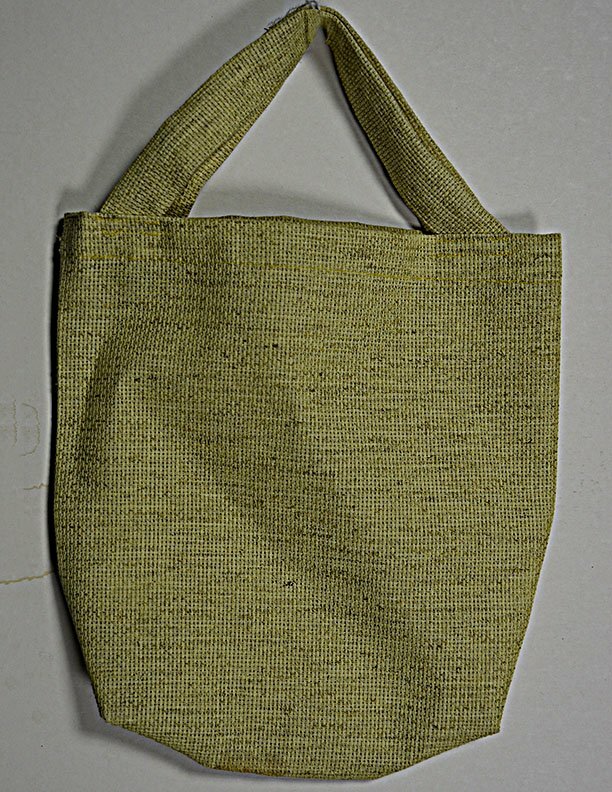 Fits Small Tote Bags size 9" x 11." 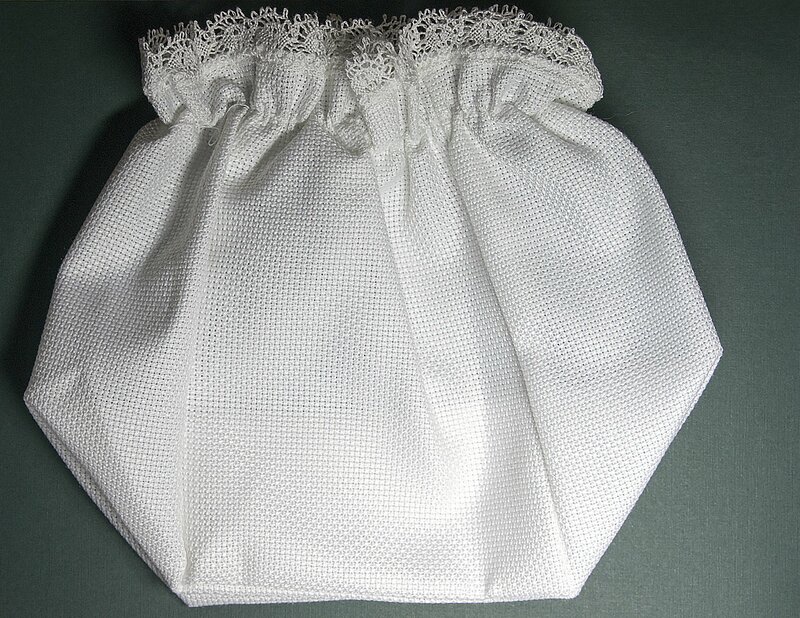 Bag is 7-1/2" x 7" of Christmas Green 14-count damask. Entire bag is stitchable. 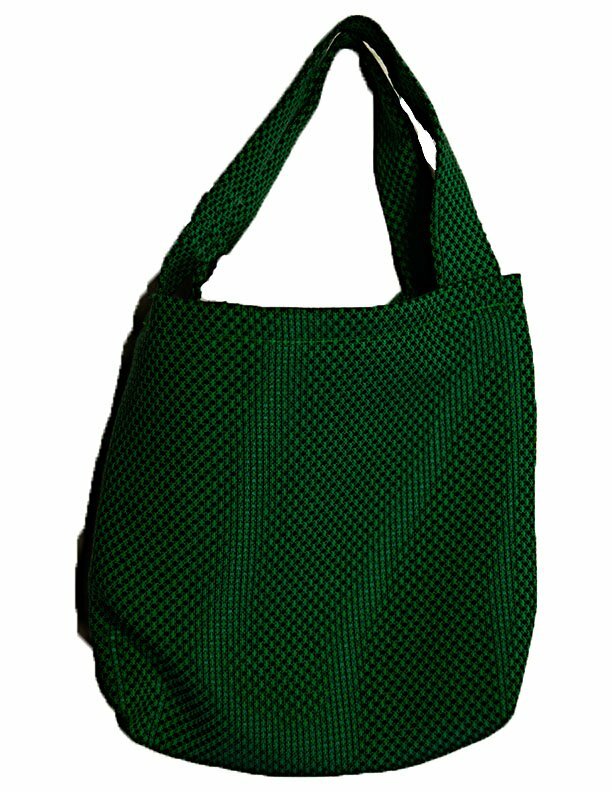 Free pattern with each bag. "Tissue Box Cover" is presented by Jeanette Crews Designs. 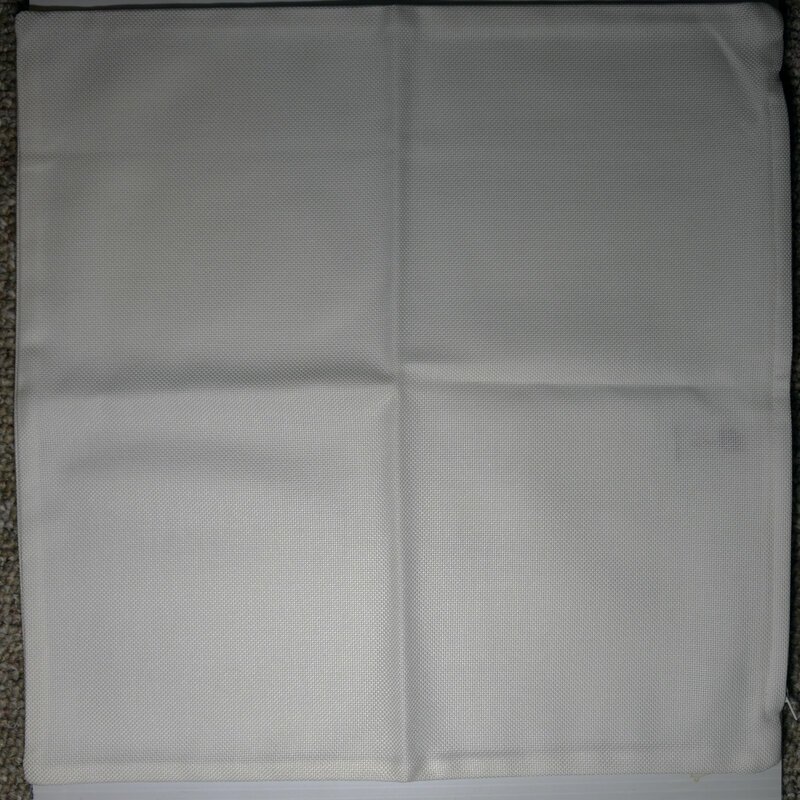 Banner is 12" x 8-1/2" Stitching opening is 4" x 8"